Turbon's International Laser Group (ILG) Announces New Distribution Center in Southern California. In a continued effort to provide the best shipping and delivery service for its customers, International Laser Group (ILG) announces the opening of its new distribution center in Southern California. Located near Los Angeles, California, ILG’s new distribution center is well-stocked with their most popular Remanufactured Toner Cartridges and is conveniently located for quick delivery service across Southern California and the entire West Coast. 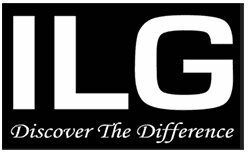 ILG also currently has distribution centers conveniently located in Texas, Pennsylvania, Georgia, and Illinois to provide exceptional shipping and delivery service for its customers across the USA. Please visit http://www.ilglaser.com or call 800-937-2880 to find out more information.